Fully functional clock radio. Good for home and office. 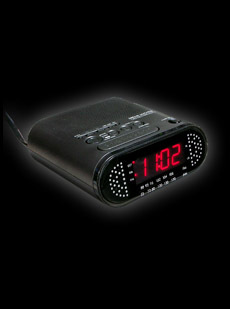 Dim: 6.75" x 2.6" x 6"
Our Wireless Clock Camera is a very useful product. It's color, b/w or d/n camera can be used in many video surveillance situations. Audio recording is an optional upgrade for this device. Are you interested in this Wireless Clock Camera / RF Wireless but not sure what's required for setup, how it works or you just have a general inquiry? Chat with one of our RF Wireless Specialists. You are currently viewing the Wireless version of the JCT-820. H.264 D1 resolution full feature SD card recorder captures all your desired recordings. Click here to view the SD Card version of this hidden camera system. View live video on any web enabled device. Click here to view the Wi-Fi version of this IP camera system. 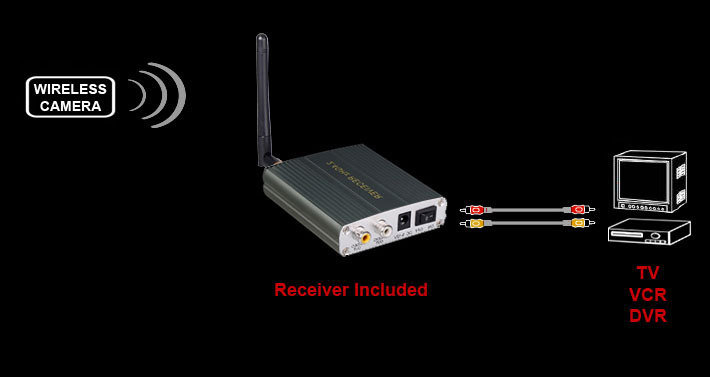 Send the video feed to a receiver up to 500ft away. Click here to view the Wireless version of this spy cam. 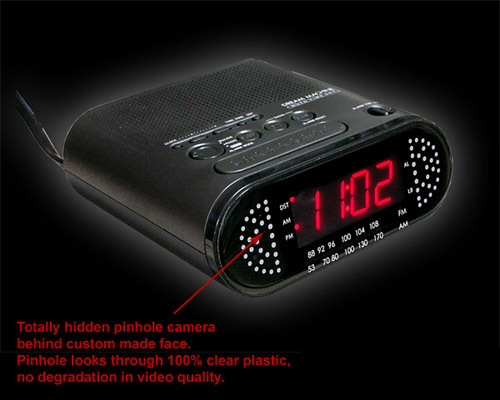 Q&A: Have a specific question about this Wireless Clock Camera? click here.